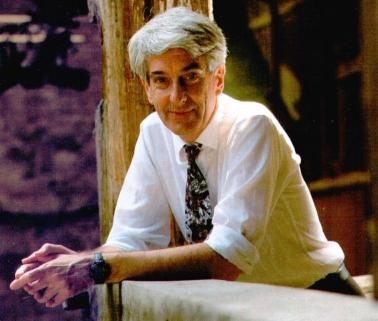 Jacques Fabrice Vallée (born September 24, 1939 in Pontoise, Val-d'Oise, France) is a venture capitalist, computer scientist, author,ufologist and former astronomer currently residing in San Francisco, California. 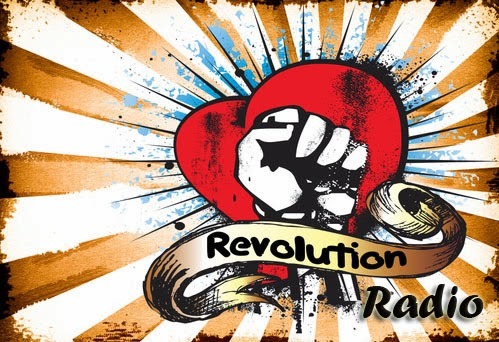 Note: This show is actually a re-broadcast of the show that was aired on January 2012. Note: Don't listen unless you can't handle the BS made up by idiots on Meier case. 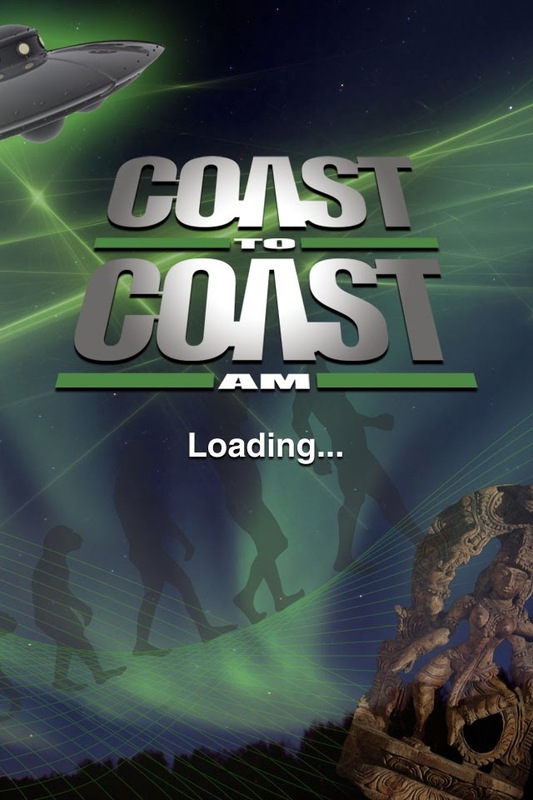 Meier case starts @ 1h:16m:00s..
"In the latter half, Michael Horn, spokesperson for famed UFO contactee Billy Meier, gave updates in the case, and talked about the confirmation of messages imparted to Meier via the Plejarans (the ET species he's been in communication with). 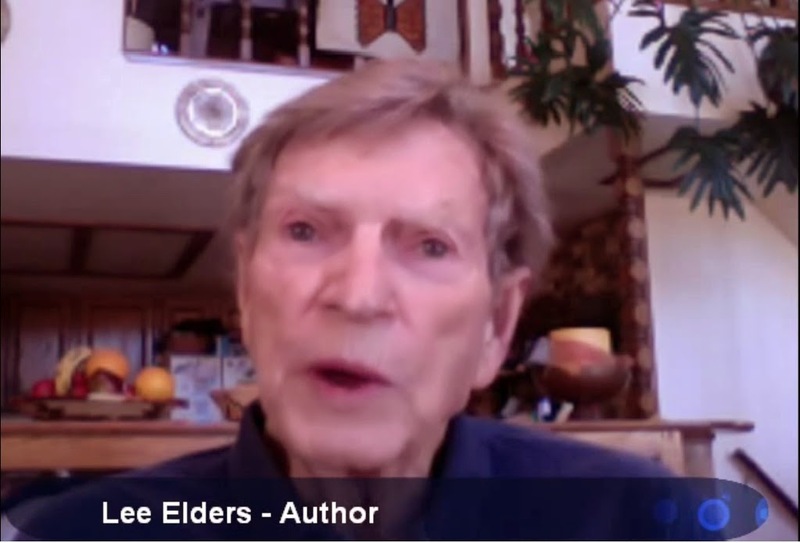 Meier, now 76 years old, had his first contacts from the ages of 5 -11, and was tutored by a male ET, who took him many places, including off-planet, Horn detailed. Meier made an intriguing pronouncement in 1982 that Earth had just narrowly avoided a planetary invasion. A planetary system with some 16 billion people was seeking new planets to occupy and had selected Earth. "The Plejarans along with two other groups they are associated with negotiated these people into another location," said Horn, who added that we are not faced with current threats from ETs, though there are three different groups here to observe us, and sometimes their spacecraft are seen in the skies. According to Horn, Meier was one of the first to warn about global warming and climate change in his writings from as far back as 1951. In 1982, he described touchscreen three-dimensional technology, which he saw "when he was watching a planetary alignment from a spaceship," Horn continued. He also revealed that the Plejarans told Meier that the Fukushima disaster is much worse than people were told, and that contamination from it is quite problematic. In 1981, Meier gave information on a devastating "red meteor" that would hit between the Black Sea and the North Sea either in 2029 or 2036. Horn noted that those dates correspond with when the asteroid Apophis is due to fly by. Additionally, Meier warned of a catastrophic earthquake that would hit San Francisco at time when cars will appear rounded with sweeping windshields." Listen: The interview can now be heard on the website www.switzerlandinsound.com under "Interesting People" or here. 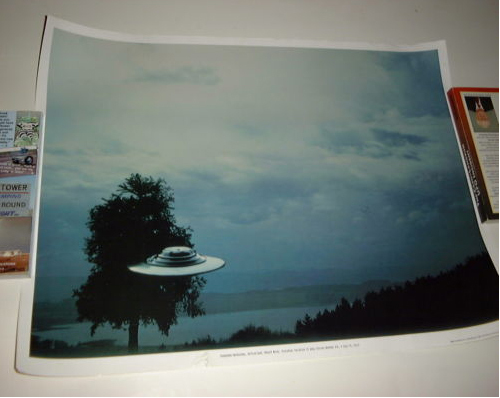 In the field of ufology – that is, the study of flying saucers – few enjoy the international fame of Billy Meier, a Swiss farmer who makes his home in the rural Turbental region north of Zurich. Born in the Zurich suburb of Buelach in 1937, Eduard “Billy” Meier says he has been seeing flying saucers since 1942. Over the years he claims to have had regular personal contacts with UFOs and extraterrestrials who have visited him at short notice. Billy Meier is a controversial figure in ufology, with groups of supports and detractors equally divided. For many, the excellent quality photographs of UFOs taken by Meier are proof of his claims. For others, his photographs and stories are a clever hoax. 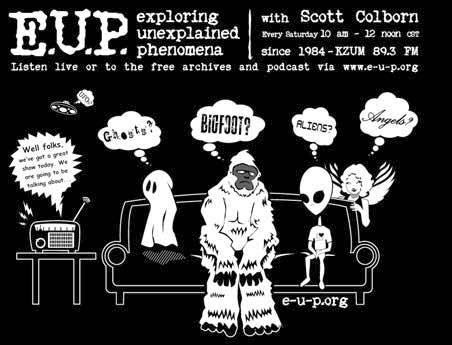 Bob Zanotti has been interested in UFOs for some 50 years, and used to host a New York radio show about them and other offbeat subjects back in the 1960’s. At the request of ufologist colleagues, Bob was able to get Billy Meier to agree to an exclusive and very rare interview in English back in 1982. It took place on Billy Meier’s farm near Turbental. Although Billy Meier has some difficulty in expressing himself in English, the interview is presented here as a unique sound document, almost in its entirety and with virtually no editing. In this recording, Billy Meier discusses his personal background and his UFO contacts; the purpose of the extraterrestrials’ mission; the nature of true religion; and his prediction about World War Three. For more information and photographs, direct your search engine to “Billy Meier”. 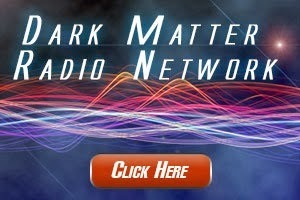 Ohio Exo-politics host Mark Snider discusses the Billy Meier case with host Ms. Solaris BlueRaven on Ravenstar's Witching Hour. The finer details are discussed concerning Galactic history, lineage and what exactly the teachings of Billy Meier encompass. 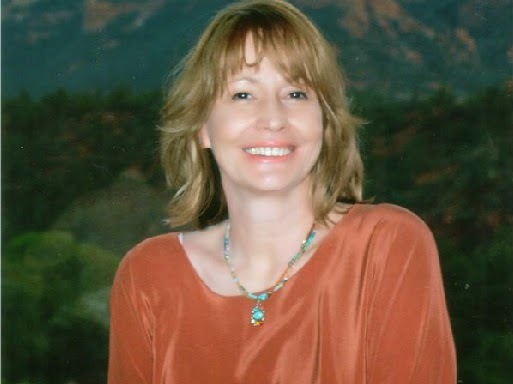 Official American spokesperson for Billy Meier, Michael Horn, continues Billy Meier's amazing story, with new documentation and developments from this one of a kind UFO contactee. We look at these new details as well as older controversies – the controversy over the photographs, the claims of Billy’s former wife, Billy’s prophetic messages, and the guidance he’s received from his Pleiadian (also known as Plejaren) friends. 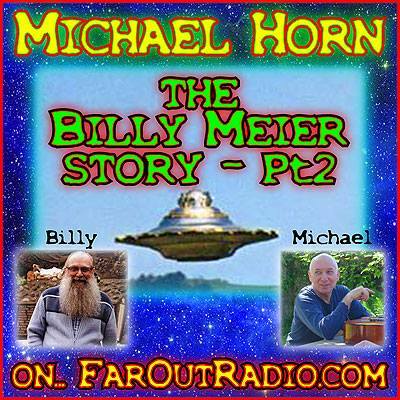 Michael Horn as the official American representative for UFO contactee, Billy Meier, shares this amazing story and all its implications. 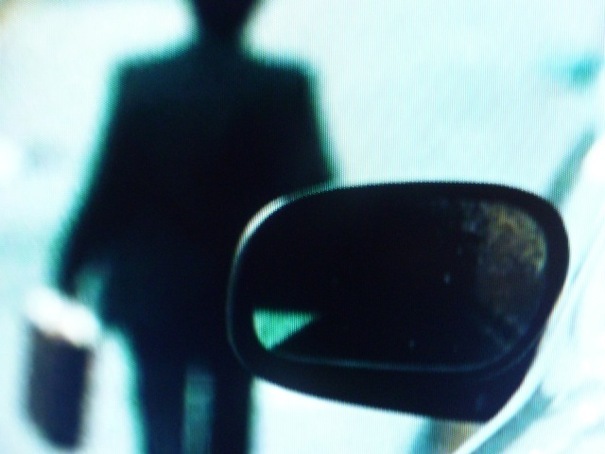 Within the UFO experience, many people have sightings, others are abducted against their will, and a few are contacted. There are fascinating aspects to the Billy Meier story. 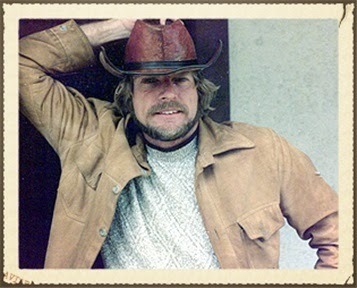 Billy claims to have been contacted and taught by Pleiadian and Plejaren humans since the age of five. Another aspect is the existence of his astonishing photographs of the UFOs that his extraterrestrial friends use to get to Earth. And third, are the amazing prophecies and instructions Billy has received from his ETs friends. Michael Horn has been studying the Billy Meier story since 1979 when he saw a copy of the book, “UFO… Contact From The Pleiades Volume 1.” While the message in the book was profound, the photos initially captivated Michael. This would be the beginning of a journey and a role of sharing and communicating that continues to this day for Michael. 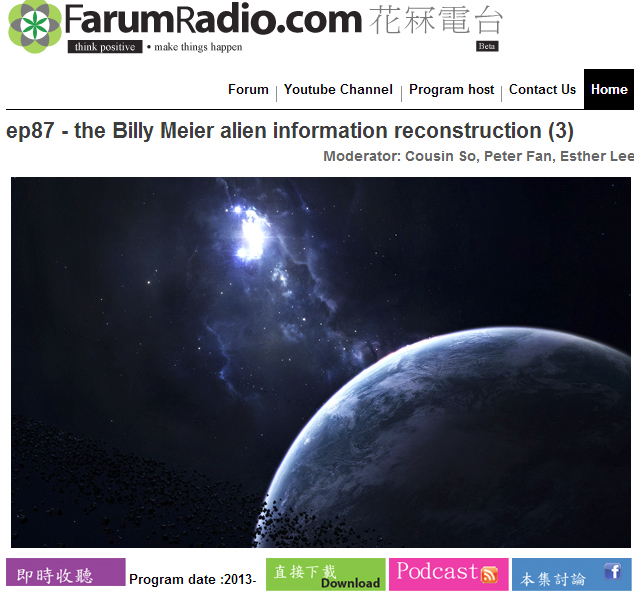 You can read all about this important Billy Meier contactee story at Michael Horn's site, theyfly.com. 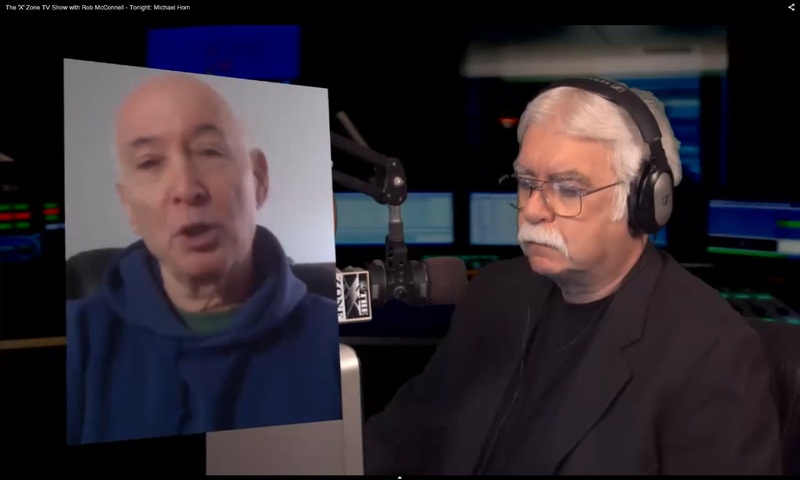 This month on Be Reasonable we speak to American UFO researcher Michael Horn. 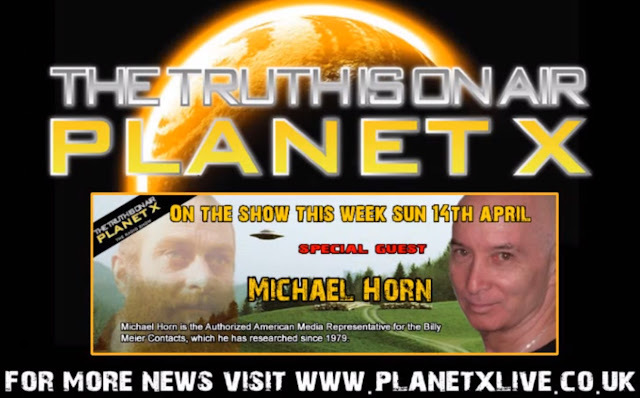 Michael is one of the most vocal and prolific supporters of Billy Meier – the Swiss septuagenarian who claims to have been visited by aliens regularly throughout his life, and claims to have concrete evidence of their existence. Note: If anyone of you know chinese, kindly share with us if there is any new information presented in the discussion. 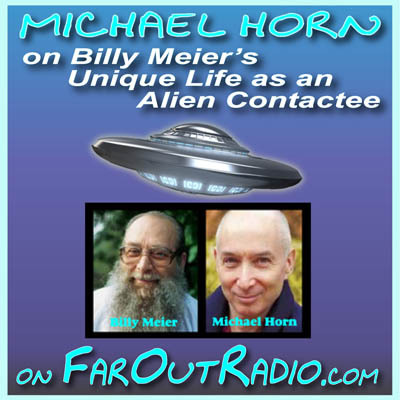 Michael Horn has been researching the Billy Meier UFO Contacts for over 25 years and is now the authorized representative for the book on the Meier case, And Yet They Fly . Though he has long been fascinated with the amazing photos, films, and other still irreproducible physical evidence, Michael's main focus since 1988 has been on Meier's prophetically accurate scientific and world event-related information, published from 1 to more than 25 years in advance of terrestrial discovery or occurrence. Because of the abundance and impeccable accuracy of Meier's material, and the failure of professional skeptics and debunkers to duplicate any of Meier's hard evidence, Michael has concluded that Meier's credibility is unequaled by any other source, past or present. Michael Horn, the official spokesperson for UFO contactee Billy Meier made a return visit this evening. 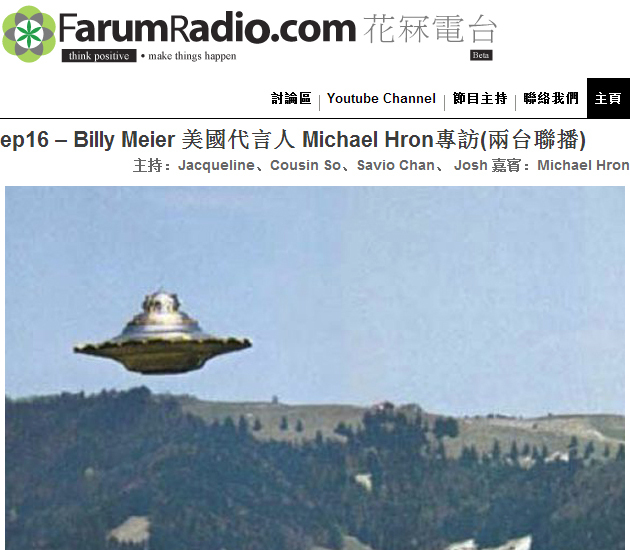 Michael hadn't been with us for a few months so we caught up with current events that Billy Meier wrote about many decades ago. We touched on the topics of Fukushima, the JFK and RFK assasinations, the mentally distracting nature of modern techno life, and "free energy" that's already here and in use. It's called, geothermal and should be the dominant technology for supplying the planet with clean, always safe, never polluting, endless energy. 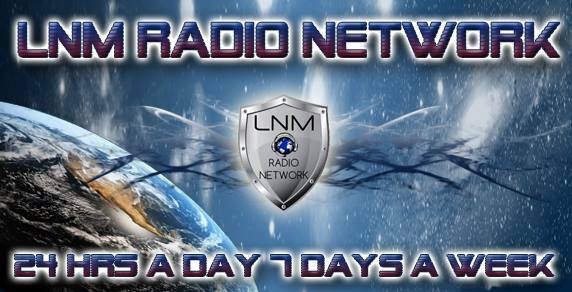 Michael Horn, authorized American Media Representative for the Billy Meier contacts, is our guest this Saturday morning. Mr. Horn was last on the program April 30th of 2005. Billy Meier is a famous Swiss farmer who has had close personal encounter experiences with UFO’s and their occupants. Mr. Meier has taken some remarkable still photographs and video over the years, and Michael Horn will speak about some of his work in researching and authenticating the photos and video, and some of Billy Meier’s prophetic statements and how they compare to how events in history have unfolded and are unfolding. Paradigm Unhinged is excited to announce Michael Horn will be on Paradigm Unhinged on the 29th! Michael Horn is the Authorized American Media Representative for the Billy Meier Contacts (www.theyfly.com), which he has researched since 1979 (and proved to be absolutely authentic). Michael’s newest film on the Meier case, “And Did They Listen?”, has just been released. 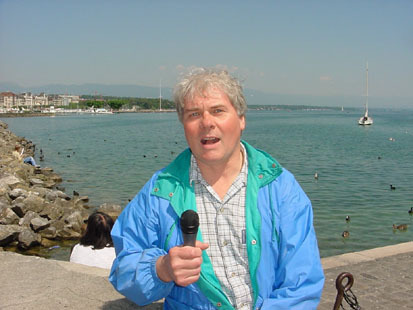 He is also the co-producer of the documentary, “as the time fulfills”, which presents an abundance of ironclad, prophetically accurate scientific evidence that irrefutably authenticates the Billy Meier case. Michael is the writer and producer of the award-winning feature length documentary, “The Silent Revolution of Truth”, as well as the writer, producer and narrator of the DVD “The Meier Contacts – The Key To Our Future Survival”. Michael’s very eclectic background includes: award-winning film director, film producer, prize-winning painter, designer/creator of the still popular fashion fad “fingernail art” (featured in Harper’s Bazaar magazine), award-winning songwriter, one of the first creators of digital online book publishing (ebooks), music and video producer, science researcher, national and international lecturer, frequent media guest, published writer, credentialed teacher, humorist, pioneer in commercial water purification applications (Starbucks), set designer, health care professional, creator of the Future Self interactive therapeutic video technique, volunteer work with children and seniors. "Michael Horn is the guest on this crazy appearance when every time Mr. Horn tries to answer a very direct question concerning Billy Meier his phone goes dead or his audio drops out...Jimmy Church asks him about the 1200 missing negatives throughout the show and Horn repeatedly responds with "I don't care about the missing negatives" or "it doesn't matter" about the negatives...very very funny show. 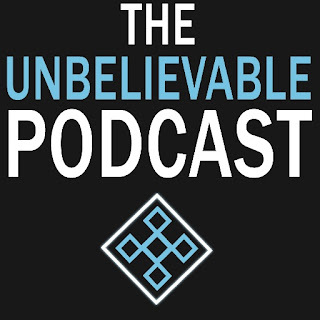 Church actually loses his cool after the third disconnected phone and the evading of answering questions...then Horn starts to attack other researchers in Ufology...very very funny show." 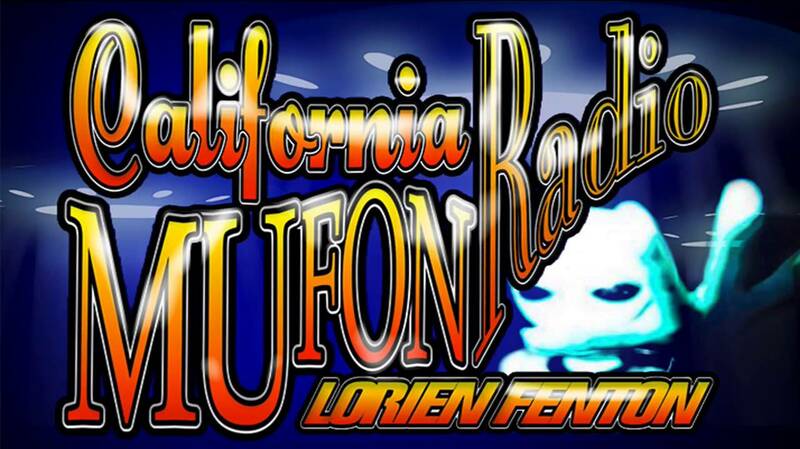 In the latter half, Michael Horn, spokesperson for UFO contactee Billy Meier, talked about the controversy that continues to swirl around the infamous case as well as messages allegedly imparted to Meier concerning the dangers facing humanity. 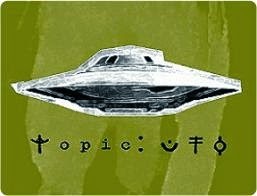 "The Billy Meier UFO case," Horn declared, "is what the UFO cover-up is actually, really, and completely about." 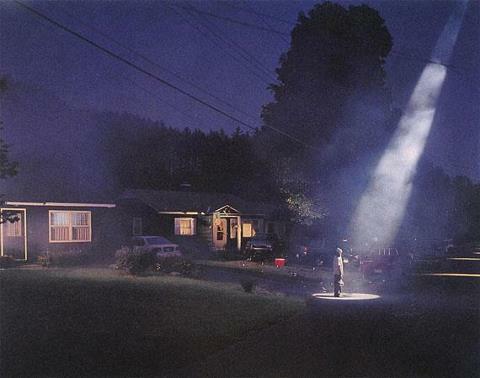 To that end, he lamented that the case receives little attention from the mainstream media and even 'alternative' paranormal programming which regularly cover UFO stories such as Roswell and abductions. The case is so troubling to the 'powers that be,' Horn contended, that attempts to get his new film about the case shown at Arizona State University resulted in the movie being "banned" by the Philosophy and Religion department there. Regarding the predictions of Meier, Horn stressed that the prophecies center around warning the human race to improve our treatment of the planet. According to Horn, the ETs told Meier that they lost 43 million of their people due to misuse of atomic energy. In turn, they advised that the solution to the planet's energy needs could come from deep geothermal energy, which comes from within the Earth in the form of heat. 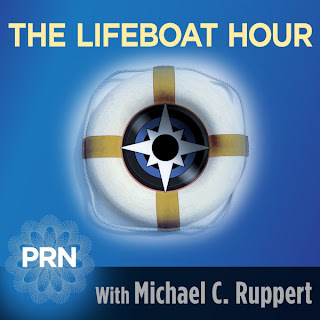 Chillingly, Horn cited messages from the ETs to Meier which cautioned that, in our current era, natural disasters and catastrophes would occur more frequently, but will be quickly forgotten in an effort to rebuild, eerily mirroring the public reaction to the Deepwater Horizon oil spill and the Fukushima meltdown among other recent calamities." 1st hour: MICHAEL HORN, spokesperson for BILLY MIEIR, tells the Lessins that information given to Meier by Pleiadian (Plejaran) visitors, and published by him over 20 years ago, has proven to be true and accurate. 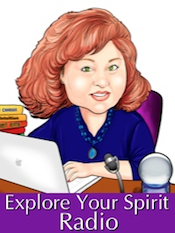 We discussed the reincarnation process and the 52 million spirit life forms and how they move in and out of incarnations and the process called life. We discussed the Billy Meir contact phenomenon which has been ongoing for over 60 years, the true nature of existence, the cosmology of the cosmos, alien intervention in human history and genetic manipulation that created human/ET hybrids. 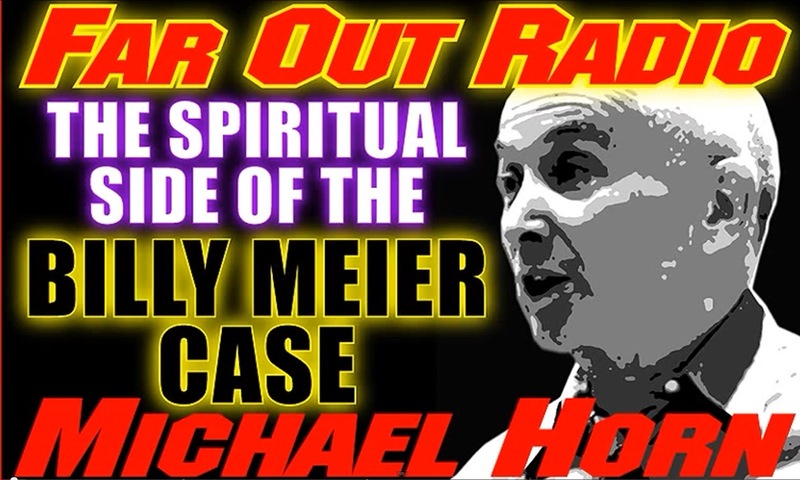 In the latter half, Michael Horn, spokesperson for famed UFO contactee Billy Meier, discussed recent controversies surrounding the validity of the Meier case, as well as reviewed specific prophecies pertaining to current Russian military movements, and the exact countries involved. In 1987, Meier reportedly had 215 contacts with an ET named Quetzal, who presented the "Henoch" prophecies to him, which included one that specified that the World Trade Center would be destroyed by terrorists (though no dates were given in the prophecies). "The United States of America will be a country of total destruction. The cause of this will be manifold with her global conflicts which are continuously instigated by her and [fueled by] enormous hatred against her worldwide. As a result America will experience enormous catastrophes," he quoted from the prophecies. Horn connected the prophecies to current events such as the Ebola epidemic, and cautioned of a yet-to-come prophecy that Russia would attack Scandinavia during a summertime period and all of Europe would be embroiled. Meier spoke of attacks on Norway, Sweden, and Finland, with eventual Russian attacks on Canada and the United States via Alaska. Canada is currently challenging Russia over resources at the Arctic, Horn noted. 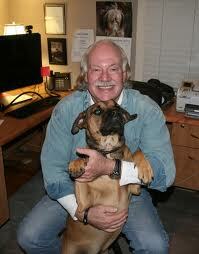 He also refuted various hoax charges against some of Meier's UFO photos and ET evidence. 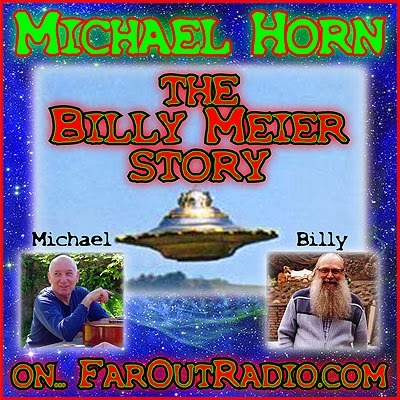 "We Talk With Michael Horn About His Work Regarding The Incredible Billy Meier case. 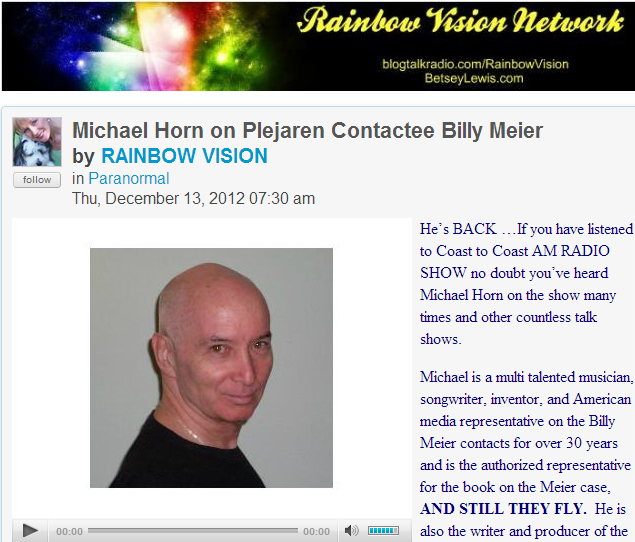 Michael Horn is the Authorized American Media Representative for the Billy Meier Contacts, which he has researched since 1979. 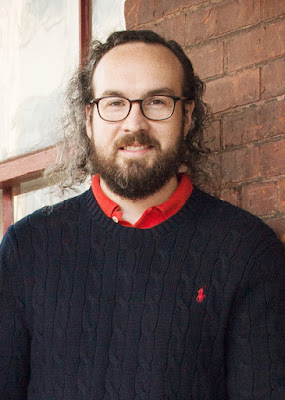 Michael is the writer/producer/director of the award-winning new film, "And Did They Listen? ", as well as the co-producer of the new documentary, "as the time fulfills", which presents an abundance of ironclad, prophetically accurate scientific evidence that irrefutably authenticates the Billy Meier case. 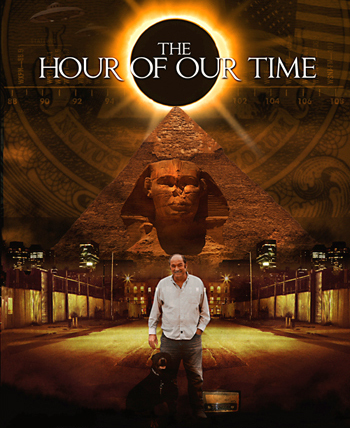 He is the writer and co-producer of the award-winning feature length documentary, "The Silent Revolution of Truth", as well as the writer, producer and narrator of the DVD "The Meier Contacts - The Key To Our Future Survival"." 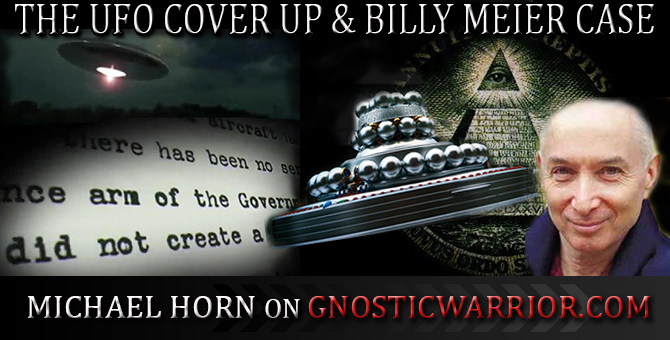 Meria interviews Michael Horn, American Media Representative for Billy Meier on his latest film “He Warned The People, And Did They Listen?“. 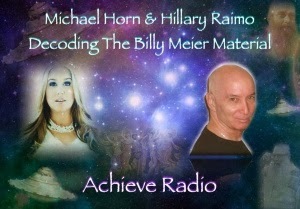 Let Michael know you are a listener with”Meria” in your order and get a 2nd movie free; Who is Billy Meier? visited since he was 5 years old (77 now);humans in another star system; why suppressed? 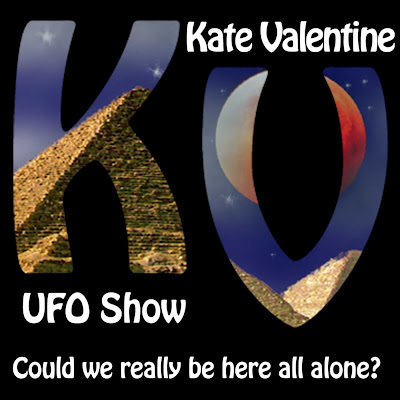 Classic UFO daytime photos/videos; 26,000 published papers; prophetically accurate information 50 yrs earlier; 22 attempts on his life;info could be destabilizing to the controllers; suicidal success for planet Earth? Henoch Prophecies; can prophecies be prevented?1951 prophecies (happened); 1958-computers, cell phones,AIDS and more. 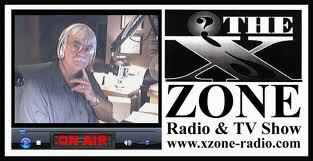 Predictions different than prophecies;ebola epidemic predicted;2 coming US civil wars? Will there be WW3? is their collusion between aliens and governments? holograms in use; climate change; HAARP’s damage;militaristic insanity;religious delusions;Plejarens; 800 yrs of difficulties? Obama; Mothers of the millennium; and much more. 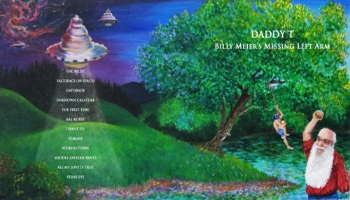 Swiss farmer Billy Meier is probably one of the most puzzling and enigmatic of extraterrestrial contactees. He has been in contact with the Plejarens, advanced extraterrestrials, for years and they have allowed Billy to accumulate a large photo and video collection of their beamships. Billy has been given astonishing predictions through the years that continue to prove accurate. Discover what Billy has been told about our times. Michael Horn joins the show to discuss his long-time friend, predictions and the spiritual teaching of the Plejarens. 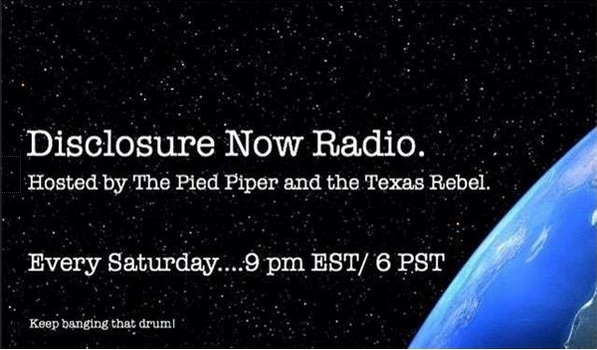 SHOW TIME: 6 pm PT, 7pm MT, 8pm CT, 9pm ET. 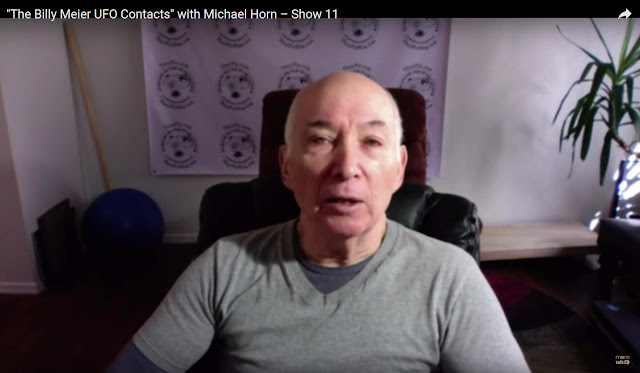 Michael Horn has been the American Media Representative on the Billy Meier contacts for over 30 years and is the authorized representative for the book on the Meier case, And Still They Fly. 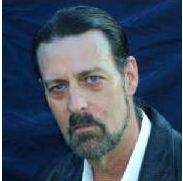 He is also the writer and producer of the award-winning feature length documentary, THE SILENT REVOLUTION OF TRUTH, and he’s the writer-producer and narrator of the DVD, THE MEIER CONTACTS--The Key to Our Future Survival. Scientist talks about Billy's prediction of Russian troop movement on YouTube. 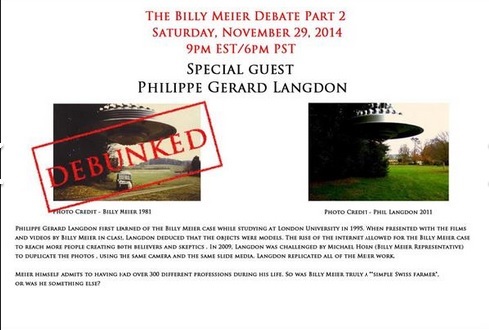 Tonight we have Phillip Langdon on with us who has debunked and recreated all Meier photos. I studied UFO's, because of a dream I had about them, and a subject called Kabalah while at University during 1995. Naturally the Meier case was presented as the best case. Once I'd seen his films though I could see it was models. Then in 2009 I saw videos on youtube claiming it was all genuine so I challenged Michael Horn. He came back with a challenge to duplicate anything. So I made the WCUFO with the same lid Meier used. He then Challenged me to reproduce the Hasenbol photos. I did, perfectly using the same camera as Meier and the same-media, slides. Then I reproduced all of his films. Michael Horn is the Authorized American Media Representative for the Billy Meier Contacts, which he has researched since 1979. 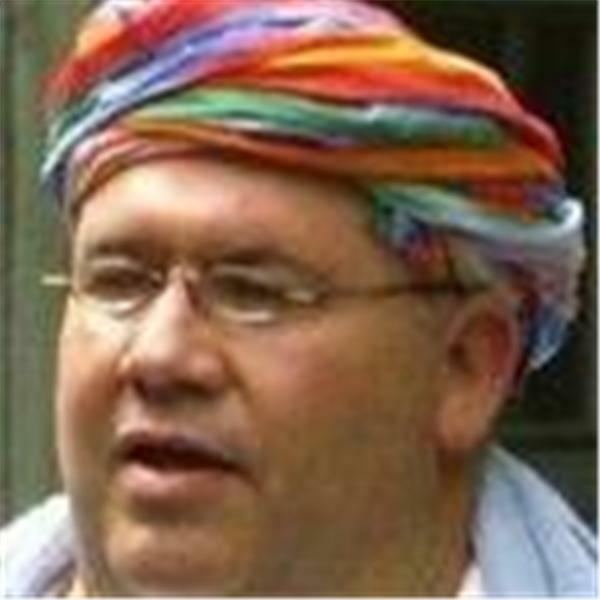 Michael is the producer/director of the new Billy Meier documentary, "The Spiritual Teaching in Everyday Life", the writer/producer/director of the award-winning new film, "And Did They Listen? ", as well as the co-producer of the new documentary "as the time fulfills", which presents an abundance of ironclad, prophetically accurate scientific evidence that irrefutably authenticates the Billy Meier case. He is the writer and co-producer of the award-winning feature length documentary, "The Silent Revolution of Truth", as well as the writer, producer and narrator of the DVD "The Meier Contacts - The Key To Our Future Survival"
Hey there everyone. 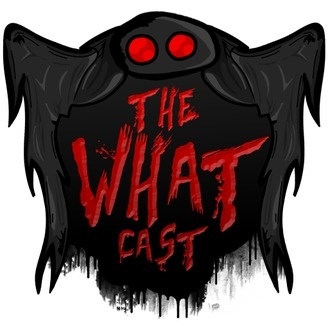 It's Monday and we got our website working again just in time to bring this show to you. 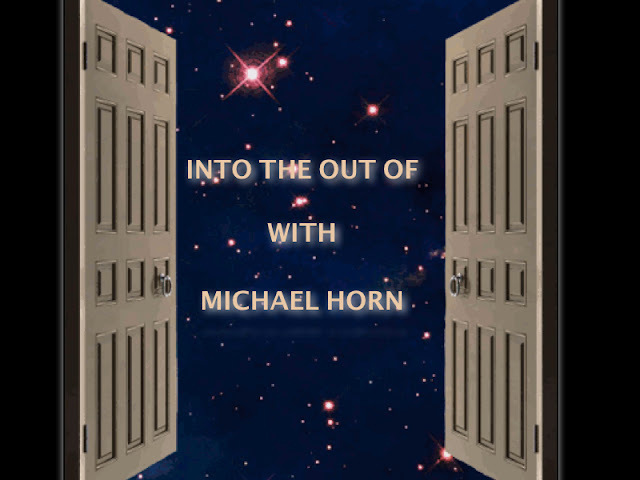 This week we had Michael Horn, the American representative to contactee Billy Meier, come on. 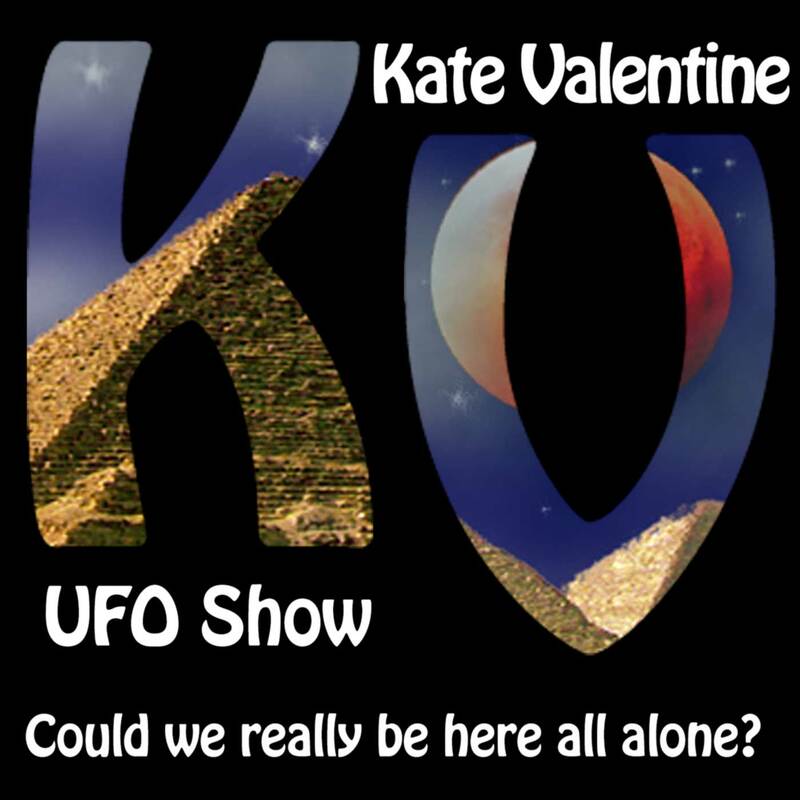 We talked about the Billy Meier case, disinfo, "alien" abductions, and a whole lot of other subjects. We hope you enjoy! Richard welcomes a award-winning film director, prize-winning painter, award-winning songwriter, science researcher, national and international lecturer who is on a mission to bring the most important story in human history and reveal long held secrets to the people of Earth. 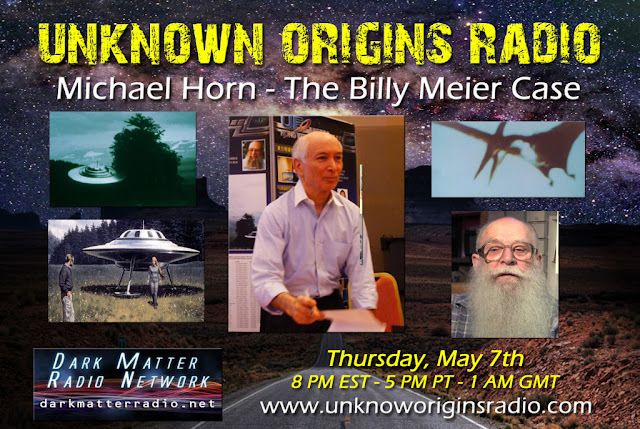 GUEST: MICHAEL HORN is the Authorized American Media Representative for the Billy Meier Contacts, which he has researched since 1979. Michael is the producer/director of the new Billy Meier documentary. "The Spiritual Teaching in Everyday Life", the writer/producer/director of the award-winning new film, "And Did They Listen? ", as well as the co-producer of the new documentary "as the time fulfills", which presents an abundance of ironclad, prophetically accurate scientific evidence that irrefutably authenticates the Billy Meier case. 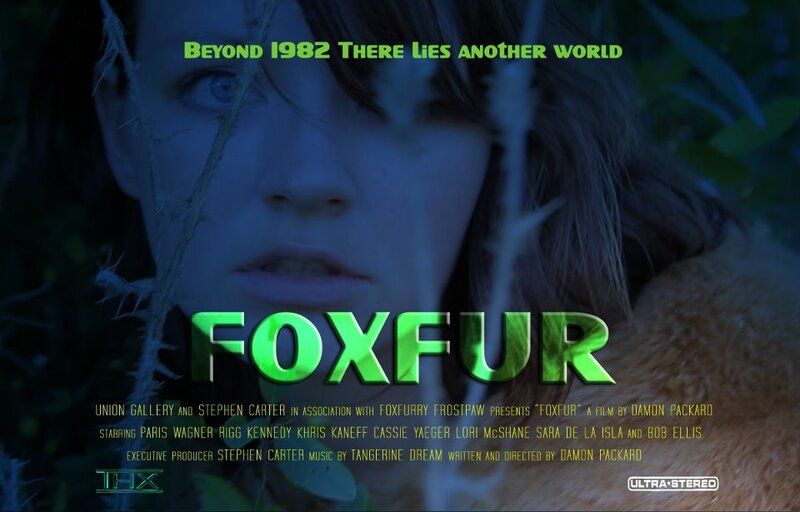 He is the writer and co-producer of the award-winning feature length documentary, "The Silent Revolution of Truth", as well as the writer, producer and narrator of the DVD "The Meier Contacts - The Key To Our Future Survival." The Strange Case of Billy Meier. 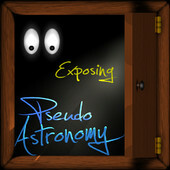 At 5 years of age it is said that Eduard first met an extraterrestrial human. It would be just the start. Contact with others beyond our Earth would continue for decades. He would go on to be considered a prophet, an author, a cult figure, a space traveler, & even a time traveler. Armed with videos of flying saucers, photos of aliens, planets, dinosaurs, & cavemen, he would claim to know where we were headed and what we should be doing to avert impending disaster. Is there something to his stories? Have his prophecies and predictions come true? Does he have irrefutable evidence of space women & of other worlds? Why have there been so many attempts on his life? Will the world ever listen to him? "Billy Meier Research. Mahesh Karumudi, from India, is an independent researcher who has done extensive investigation into the Billy Meier contacts case. He discusses his initial interest in Meier and his subsequent quest for verification of his many claims. 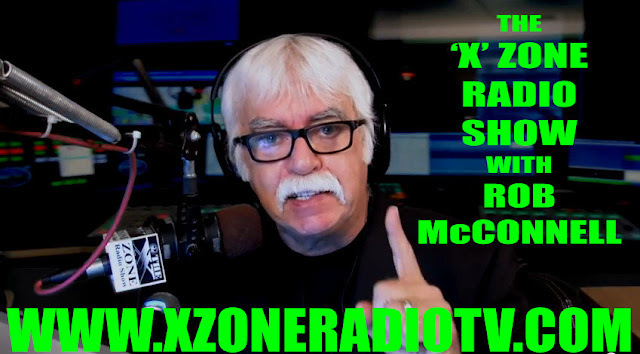 He explains his findings on Meier’s claims of space images purported to be taken from spacecraft, predictions on the age and manner of death of the iceman known as Otzi, and more. 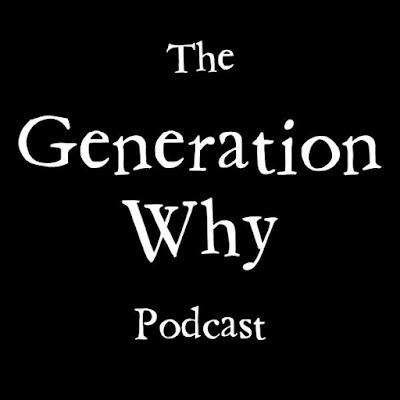 This is a followup to Episode #135 so if you haven’t listened to that episode yet, I urge you to do so. 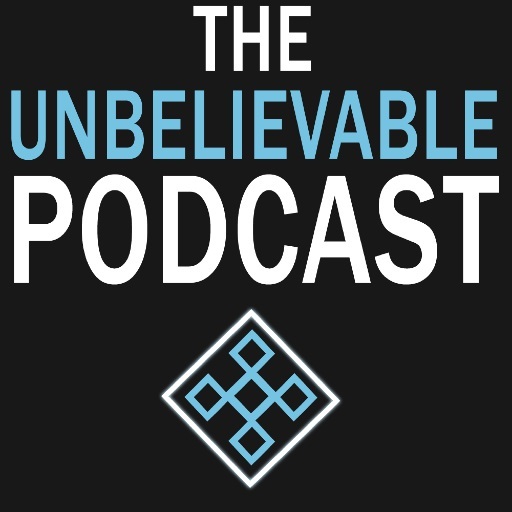 The Unbelievable Podcast (Episode 132, Aug 4, 2015): The Plejarens Exposed! 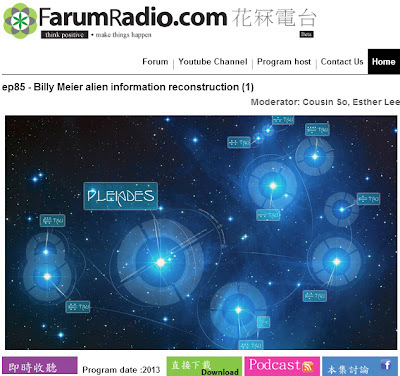 In 1942 Billy Meier started getting contacted by aliens from the planet Erra. Soon after that they took him on their ship and told him he was Jesus and he had to save humanity. But what does this have to do with Jimmy Carter? And how much money does it cost to be Billy’s friend? And why is he so nervous about coffee? Plus the votes are in, the t-shirts are narrowed down and we mourn the loss of Rowdiest man to ever live. 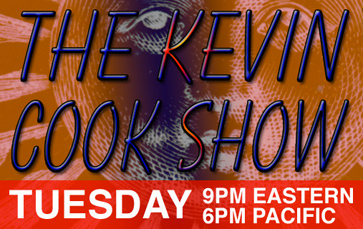 Note: My rebuttal to this show will be published by tomorrow. 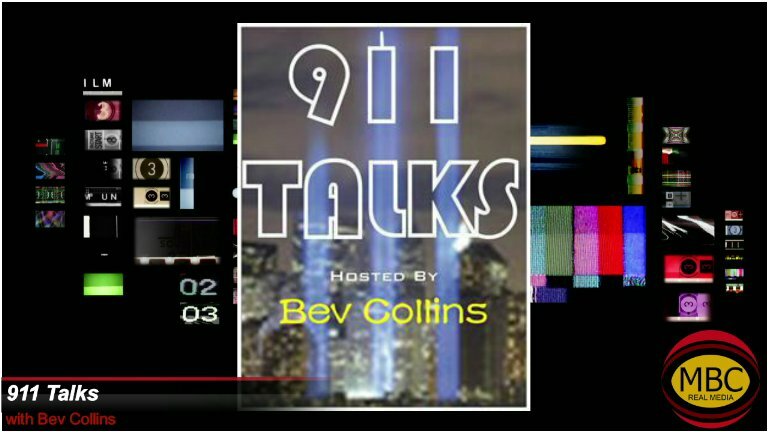 The Skeptic's Guide To The Universe (Nov 21, 2015) - Did Billy Meier predict Paris terrorist attacks? 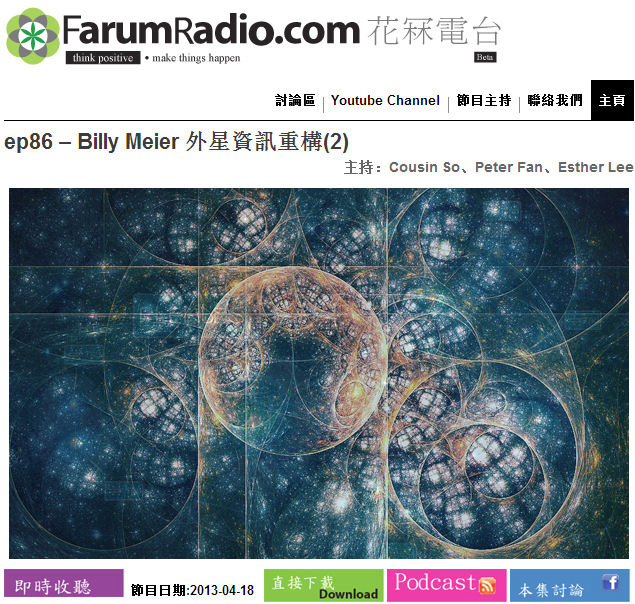 Also listen to Michael Horn being interviewed on March 14, 2016 by Matthew Deagle, a long time Billy Meier supporter, and a self-proclaimed "expert in astrology, numerology and symbolism." February 13: Midnight Scario Podcast (February 7, 2017): Episode 6 - "Billy, can you hear me?"